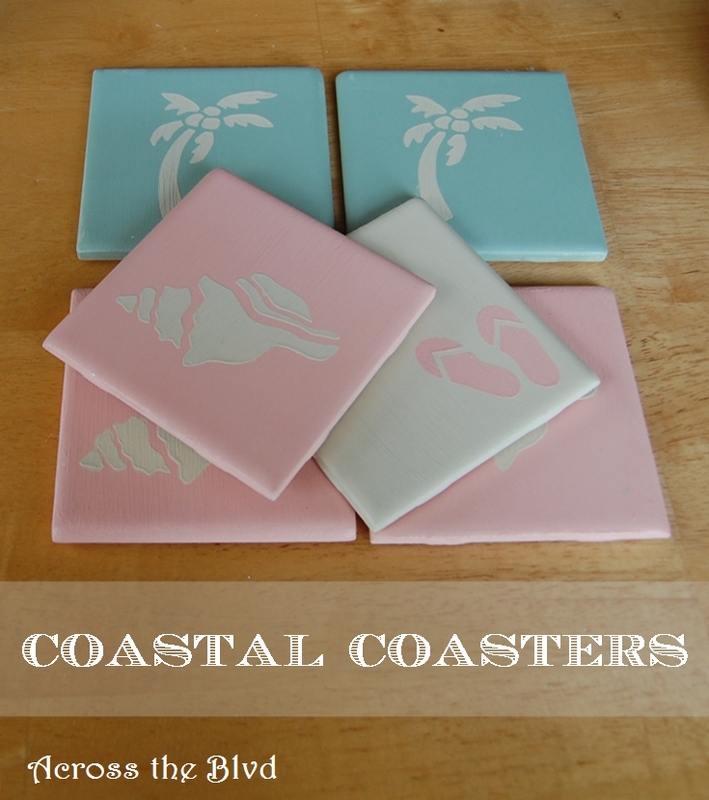 In the midst of making over my Charleston Room into a coastal cottage decor, Gloria pointed out to me that the coasters I was using don’t have a coastal look to them. She’s right and even though they are Charlestonish, they don’t have the light, pastel look of everything else in the room. That meant it was time for a trip to Lowe’s for more tiles. These were even easier to make than the Charleston Coasters I made a couple of years ago and they fit right in with the look I’m going for in the room. 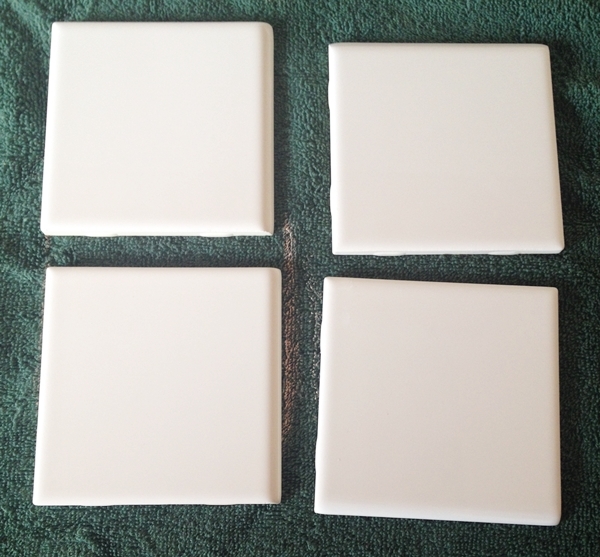 I bought six 4 x 4 white tiles and used paint and stencils I previously bought for another project. The tiles were .88 cents each, so this is definitely a budget friendly project! 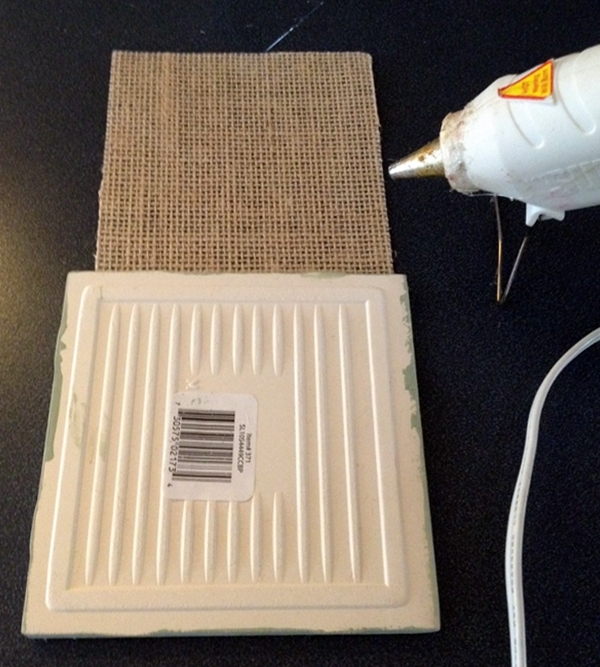 I cut squares of laminated burlap to use for the backing. I cut them slightly smaller than the tiles and hot glued them to the back. I used Waverly Brand Chalk Paint in Celery and Cashew for two of the tiles, I found a lovely Deep Peach Craft Smart chalk paint on sale at Michales. I also found these stencils at Michaels. I gave each tile two coats of paint, allowing for quick drying time between the coats. 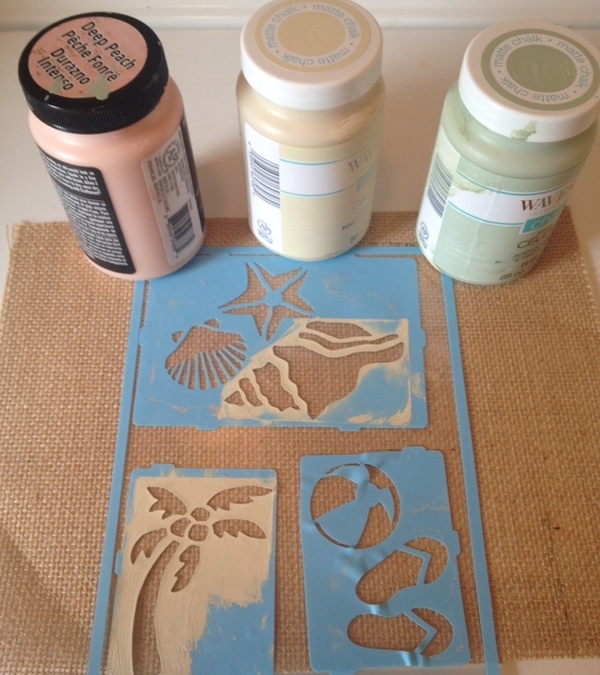 Once dry, I taped a stencil in place and used the Cashew color to paint them. Once they were completely dry, I sprayed Polycrylic Finish over each one. I wanted to make sure they would be water resistant, so I gave them three coats. It dries very quickly. 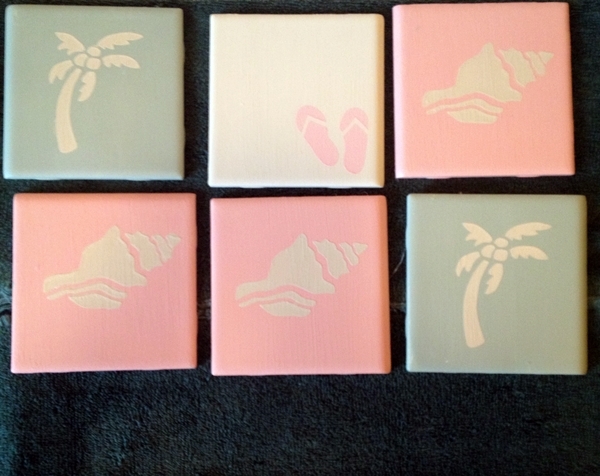 From start to finish, it took me under an hour to turn plain old tiles into coastal coasters. I’m loving how they turned out. Such a simple and inexpensive project adds a great touch to the decor of the room. Have you used tiles to make coasters? It’s so easy and you can personalize them in so many different ways. Very nice! So easy and they look so soft and pretty. Thanks so much, Cyndee! They are so easy and quick to make. Thanks for visiting! Thanks so much, Natasha. They are fun to make and can made to match any decor. Your coasters are adorable! Love the colors too! I’m just so amazed at the multiple uses of the chalk paint! 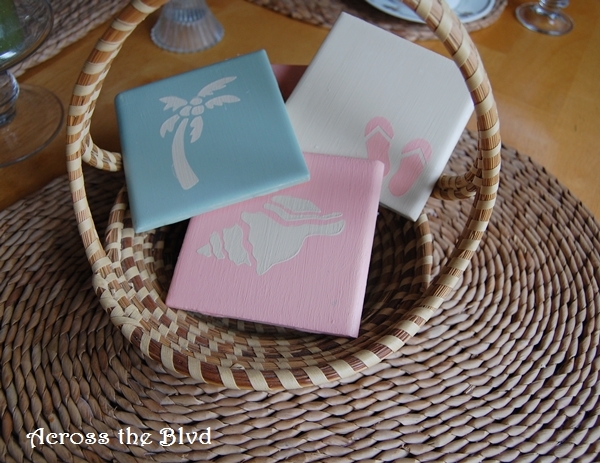 I’ve never made tile coasters, but this would also make an excellent inexpensive gift idea too! Thank you for the inspiration! 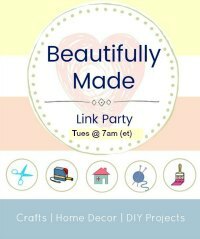 Thank you for sharing them with us at the Brag About It Link party too! Thank you! I’m finding so many uses for it. When I look around at my room makeover, it gives a nice cohesive look to the decor. This would definitely make a good gift idea. 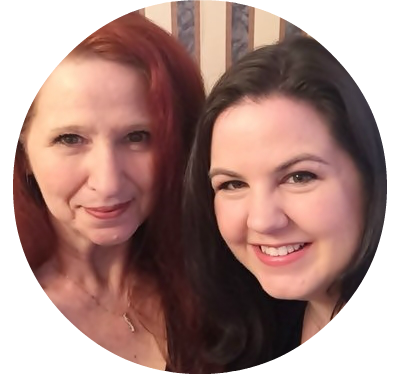 I’m happy to have inspired you and always enjoy sharing on Brag About It. Thanks, Brenda. I love beach decor, too. Thanks for stopping by. Really cute (and of course, I love anything coastal!). Thanks for sharing! Thank you, Joanne! I’m trying to find a balance between beachy, coastal and cottage for this room makeover.Thanks for visiting. LOVE your colors! I simply must create a project so I can use that Chalk paint!! You cannot beat .88 each, that is most definitely budget friendly. Thanks for partying with us at Merry Monday. Thank you, Shirley! I’ve fallen in love with chalk paint. There are so many different uses for it, from little projects like this to large furniture pieces! I’m always happy to party at Merry Monday. Thanks for hosting and for stopping by. I love these coasters, they are too cute! And they look professional! Thank you, Jessica. They are so easy to make. Thanks for stopping by! Thanks! You can a make a set so quickly and cheaply, too! Thank you, Vickie! I’m happy to share at Home Matters. Thanks for stopping by. Thank you, Linda and thanks for pinning! Hope you’re having a great week. What a unique way to make coasters. This technique is so versatile and can be used in any décor! Yes, the only limit is one’s imagination! These are so inexpensive to make, too. Hi, cute coasters. But, how do you keep the condensation from your drinks from running off the coasters and onto a wooden table? 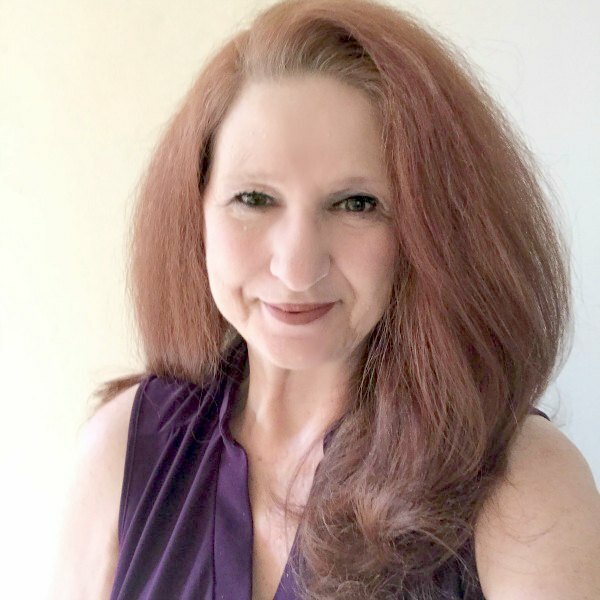 Thanks, Debbi. I haven’t had a problem with that. Any condensation just stays on the coasters. 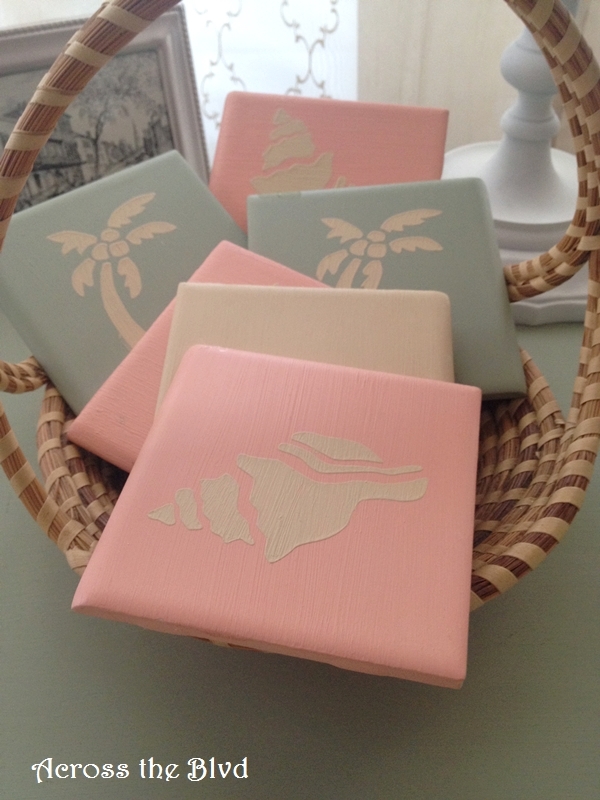 I love coastal themes and these coasters are very pretty and practical. I can see my coffee sitting there. Thank you, Kathleen. It’s always great to have a DIY project that’s also practical. Okay, I love these! My mom has a beach condo she rents several months out of the year, and these would be great to have there! I am going to make her some! Thanks for sharing this, Beverly! Thanks! I’d love to see yours if you make them. This is a neat idea. I love the color scheme and the stencil patterns. Love this project! Just moved to the beach in NC and plan to make them for our Carolina room. Thanks, Lin! I’m delighted to have given you an idea!